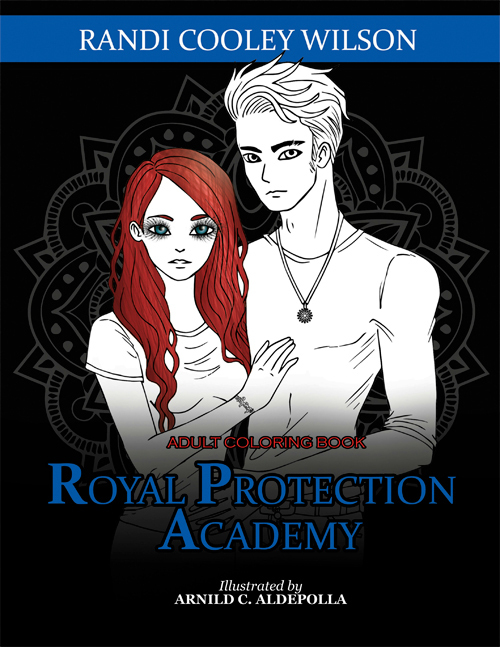 The Royal Protector Academy Series Coloring Book is a must-have companion for fans of the new adult paranormal romance books by Randi Cooley Wilson. Color scenes from the three books, with over thirty unique illustrations featuring your favorite RPA characters! 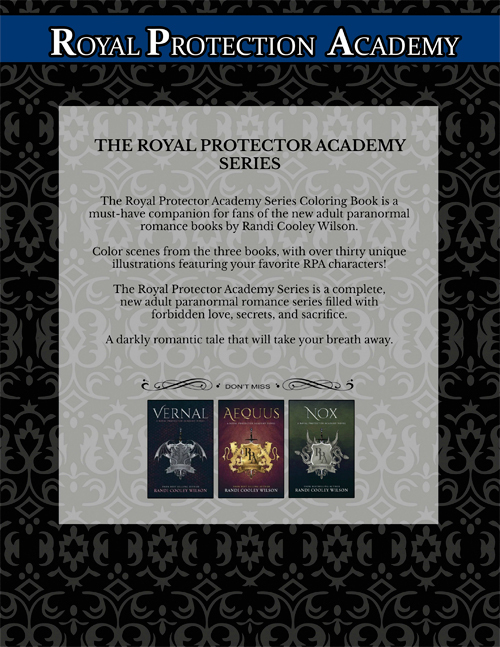 The Royal Protector Academy Series is a complete, new adult paranormal romance series filled with forbidden love, secrets, and sacrifice. A darkly romantic tale that will take your breath away. Please allow 4-6 weeks for your order to be shipped.